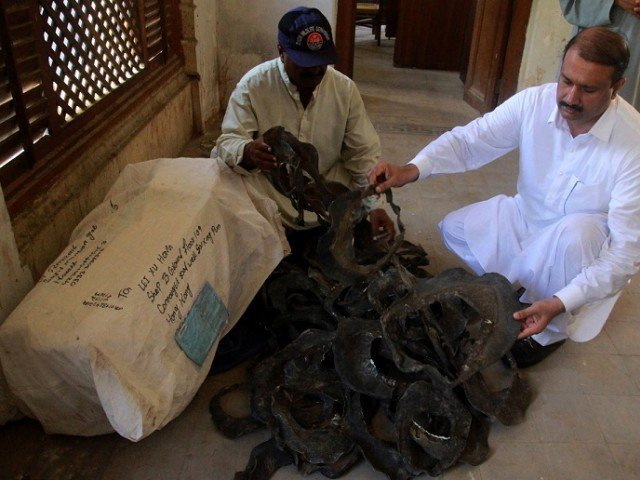 The Sindh Wildlife Department (SWD) on September 19, 2017 recovered a consignment of turtle meat which was scheduled to be smuggled to Hong Kong via Pakistan postal service. The meat, which weighed around 16 kilogrammes, was recovered after the Anti-Narcotics Force (ANF) at the airport was suspicious about a specific consignment. Hence they approached the officials of SWD, who identified it as the meat of freshwater turtles. According to SWD Inspector Mukhtar Soomro, there is a high demand for turtle meat in far eastern countries and turtles or their meat are usually smuggled to China, Hong Kong, Thailand, Singapore, Indonesia, Malaysia, Japan and Korea. He added that usually turtles were killed and then smuggled to these countries, however now turtle meat is smuggled which is hard to identify. The consignment was booked by Abdul Razzak, to recipient Lei Xu Hong Connaught road, Sai Ying Pun, Hong Kong, whereas his NIC and contact number were also written on the package. An investigation is under way. Mukhtar added that such cases were reported in 2016, however in 2017, the number of turtle smuggling has decreased after SWD started to work alongside coast guards, Pakistan Customs and ANF to prevent turtle smuggling. “Every year, several similar cases occur, however, we had informed courier services in the past about this and had asked them to be cautious before booking any consignment,” he said. He added that Pakistan has many species of turtles, among them some are very rare, and freshwater turtles are caught by agents of smugglers from Punjab and Sindh. He said, initially, law enforcment agencies were unaware of this cruelty on turtles as they had no idea about turtle smuggling or dried turtle meat but now strict measures are being taken to reduce such incidents. 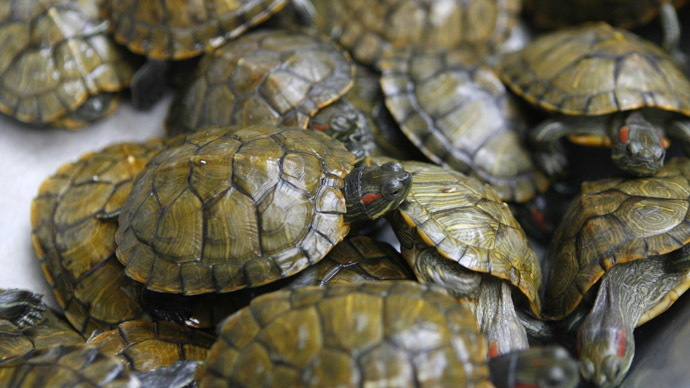 The SWB, in collaboration with the police in September 2016, recovered 780 living, endangered turtles and refrigerated turtle meat from a bungalow in Phase VII of the Defence Housing Authority after a raid was conducted on a tip-off about a gang which was illegally keeping turtles in a house to export them to Malaysia. Three Chinese nationals, seven Pakistanis and two security guards were also arrested. The SWD was keen to investigate the matter as several gang members, including Chinese nationals, of the gang could have led to high- level members of the gang, however, later the Chinese nationals were released after reported diplomatic intervention.